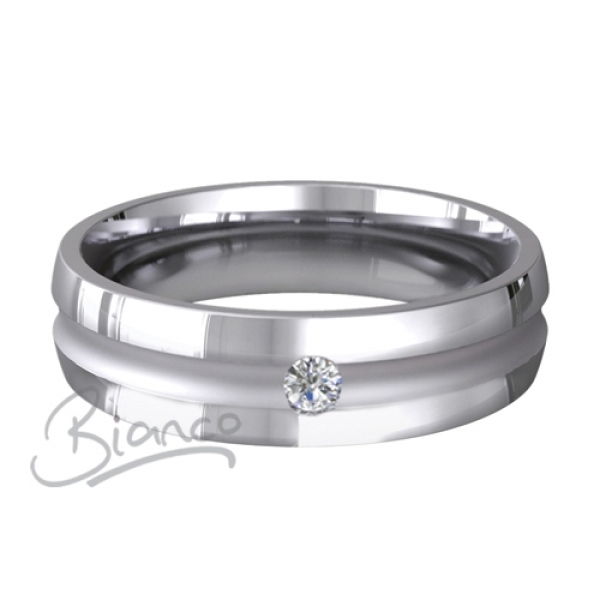 4 to 6mm wide Encancto Patterned Court Diamond Wedding Ring. A two millimetre, light sand blasted concave groove runs through the centre of this polished ring. set in the centre is a 5pt brilliant cut diamond. This ring can also be engraved just choose the option and put what you want engraved in the special instructions box you will see when checking out. WE SEND YOU A SAMPLE OF THIS RING WHEN YOU ORDER SO YOU CAN BE CERTAIN ITS WHAT YOU WANT. This item is made from scratch to your specification. Delivery is in 14 to 21 days. If you need it by a specific date please tell us in the special instructions box you will see when checking out. If a return is required please send by Royal Mail Special Delivery.